Minnesota State University Moorhead is a student-centered University that treats students as individuals with different experiences and aspirations, whether they are first generation college students, full-time working adults or a variety of traditional and nontraditional students. Tuition, which is among the most affordable in the region, and high instructional quality combine to create an outstanding higher education value. Minnesota State University Moorhead (MSUM) continuously adapts and grows to accommodate the needs and provide the resources for its students and staff. After discovering the University had no strategic process to manage campus printing, MSUM’s Chief Information Officer, Daniel Heckaman, went out to bid for a program that would help manage print output across the campus at a reasonable price. After talking with other universities and discovering the contract available to Minnesota State Colleges and Universities (MnSCU) institutions, Heckaman made the decision to partner with Marco to implement a print management system to control costs and manage output. Heckaman scheduled a meeting with Marco Technology Advisor Michael Amberg, to discuss the MnSCU contract and the benefits that it could provide to the University. Prior to implementing a Managed Print Services program through MnSCU, MSUM had multiple contracts with many vendors, and there was no way to leverage scanning functions and advanced printing capabilities. After learning the MnSCU contract could provide educational facilities with reduced costs on equipment, MSUM signed an agreement for Managed Print Services in the summer of 2014 and discovered benefits such as cost savings, a user management solution and a more effective array of devices. The MPS solution through the MnSCU contract has enabled the University to leverage infrastructure and provide the best printing assets to students, faculty and staff. When printing to a network device, users have the ability to walk up to multiple devices across campus and scan their ID badge to release their job through a mobility and cloud printing solution. Heckaman said that he no longer has the headaches that came with their old print environment. “Now with having everything integrated and having a simple MPS contract available, it’s easy,” said Heckaman. He most appreciates the cost savings that comes with not needing to buy toner when a device runs out and that the printing solution has greatly decreased the number of prints. When he meets with other CIO’s in the industry, he asks them how they can’t be using a MPS program yet and encourages them to look into the benefits. 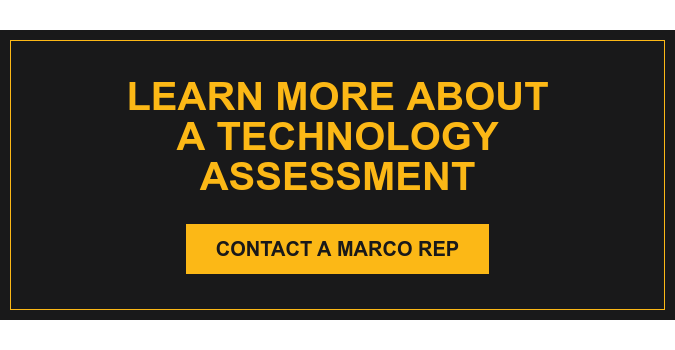 “Marco does a good job of balancing the execution, in addition to the management part,” said Heckaman.